Rega, Pro-Ject and Sony take home best turntable Awards | What Hi-Fi? Who would have thought we'd still be dishing out turntable Awards in 2018? Well, not us back in 1981. "From today, vinyl LP records are dead," we declared with the launch of CD in the July 1981 issue of What Hi-Fi?. At one point we even stopped having a turntable category, such was the languishing popularity of the format at points in the 80s and 90s. But forget that, vinyl is back. And Rega is no doubt rather pleased about it. Rega takes home three What Hi-Fi? Awards in the turntable category this year, meaning the company has now won... a huge number of turntable Awards (we'll leave Rega to do the maths). The eagle-eyed will notice the three winning decks took the same honours last year; a sure-sign of quality. 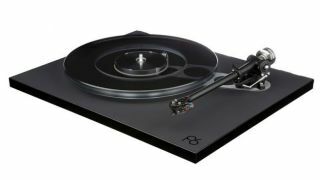 The Rega Planar 1 remains a great step-up option for those prepared to spend a little more on a record player, while the Rega Planar 3 successfully offers a leap up in quality. Want to get serious? The Rega Planar 6 (pictured top) remains our go-to. But it wasn't quite a clean sweep. At the entry-level end of the market, the Pro-Ject Primary E is a brilliant first turntable for not a lot of money. Revisions to this deck, which is based on the brand's Primary model, ensure it cements itself at the affordable end of our turntable recommendations - even if last year's winner, the Audio-Technica AT-LP5, remains a great entry-level alternative. Last but not least is the Sony PS-HX500, a USB turntable we were big fans of at £450, which can now be widely found for almost half the price. If you want great sound from your records as well as the option of digitising your collection – right up to hi-res audio quality – then this is a pretty faultless option.